The Atmega chips really are fantastic for robotics, but sometimes the learning curve can be a bit steep. Society of Robots has taken this into consideration with their new Axon Microcontroller. Boasting the impressive Atmega 640, which has 55 total I/O pins and can control up to 29 servos, this open source microcontroller was built from the ground up with the Roboticist in mind. 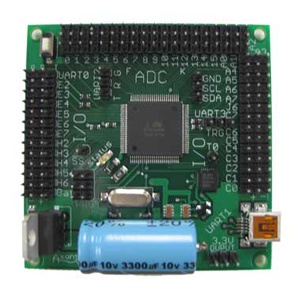 Visit our store for more information on the Axon Microcontroller.